- 1) Thematic bundles: we did a test to include a pack into a bundle. And we did not like the final result in terms of what we offer and what we want as a company. As such, we felt that a membership system do reflect a lot more what we want to do, which is a feeling of a special place where what you get is of quality with always a thought to what you need. Instead we felt like a merchant selling vegetables, so for the moment being we will keep our membership system. 2) Wordpress Themes: we are working on them. Are they late… Yes!. It has been very difficult as it is a change of rhythm and activity for us. Be assured that I think that in time, we will break the current market situation of expensive themes for average quality >> to a great collection of themes, rock-bottom prices with a f-great quality grade. Well, then the question is when? And the answer is I don't know, as I have learned to not give time estimates anymore and then brake a promise, which I already did and I do not like me for this. So before 2014, more than probably. After 2014, for sure! That I can say. 3) Coded HTML template: Yes, admin templates are on their way still. On the s,ne boat than our wordpress themes… so 2014 probably too. 4) More of everything: Trying too, but our coded/wordpress sections is sucking the time we have. One day for sure, but when the time is right, that's our promise now. Quality first! 4) Website Design: Responsive and New design, Yes!For 2013 we hope so, but we are not sure now. What is sure, however is that we will keep trying to change our website to offer the better user experience. A quick update to say that we are still here, and thinking of you everyday. Best. 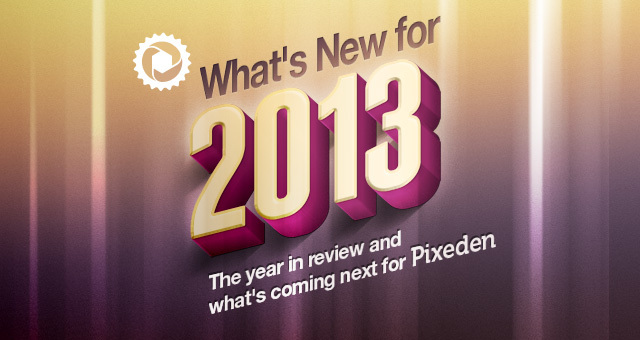 The end of 2012 is coming soon and we'll like to take the time to look at what happened this year with PixEden and what you might expect from us in 2013. This year saw two big events for our Website. First a revamp of our website design to make it look more worthy of the great resources we display here. Then we saw the launch of our premium offering with the creation of Pixeden LLC. We decided to start offering premium resources to sustain the creation of free resources and keep creating files that will help our users in their daily tasks. The response to our premium memberships has been great, and we'd like to thank everybody that decided to support our venture and we hope to keep them happy for 2013. So let's go to the meat here and talk of what PixEden is going to offer in 2013. We received demands from users to implement new payment methods other than Paypal, so we'll be working on offering some alternatives for next year. Other people asked us to be able to pay per resources and not only as a membership. We looked at it and thought about it and came to the conclusion that to offer each of our resources individually will not fit with what Pixeden as a community is for us and our users. We are however thinking of doing thematic bundles of some of our resources to sell as one-off deals, we think that would be a good way to answer the needs of those users. So you should see those pop-up in 2013. Keep in mind that if we do offer those packs, we will include the same kind of service that our members currently enjoy, as our business is not to sell stand alone resources but access to a community of design resources and services linked to the needs and requests of our users. Christmas holidays are approching fast and we'd like to tell our users that we will be taking some time off and as such we might release a bit less resources this month. However we will compensate if this is the case in January with more resources; so no worries. We'll also keep answering and fixing issues that users might have during that time. - Wordpress Themes! Yes, we received your request and we are indeed working on releasing coded wordpress themes. You already got a first look at some of themes in our psd templates section. We plan to release our first themes in early 2013. There is a lot of work involved to get our themes up to the quality that you expect from us. We already decided on a open-source framework, we are also developing shortcodes/plugin/sections that people expect in a quality premium theme. We still need to look at the added services we will provide with those and how we will integrate them in our membership offering. However you can expect some of the best deal in town. We plan to release at least one theme per month and more if we can keep up. - Coded HTML templateStill according to your request, we plan to beaf up that section in 2013. Especially developing great admin template that will be based on twitter bootstrap and our design style. I think those will be very popular among our users as we had a lot of them asked us to create them. - Coded HTML UI kit. We are finishing our first one and you should see it pop up this month. This is kind of a test to see how our users will react to it, what we need to add to make them as useful as they can be. We think that this will really be something that makes your membership gain in value, so stay tuned on those. - More Mockups! 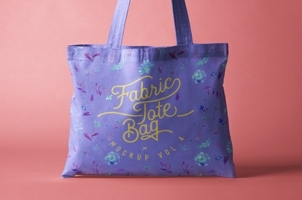 Lot of our users love us for our mockups and we get a lot of request to make more. So in 2013 you should expect us to double down on it! - New categories. We are looking at new categories/endeavors, nothing is set in stone yet, but you should see some new exiting stuff from us next year. - More of everything! We currently release 4 resources a week, three premium and one free. Usually we release the premium files Monday, Tuesday and Thursday and our free file Friday. In 2013 we are looking at publishing even more files, as we can dedicate ourselves fully to PixEden. And we will not change our pricing so you'll get even more for your money if you have a premium account or if not more Freebies! Well, I know it has been very quiet here but we still believe that our blog is an important part of PixEden. So for 2013 we decided to give it the love it deserves and create great content all year long. Yes! We will update PixEden website design in 2013. We are not unhappy with our current design but we still think we can do better and provide an enhanced user experience. And also every one needs to freshen up once in a while. So expect to see some changes, it won't be revolutionary but it will look good and I hope all of you will appreciate it. Finally, I'd like to tell all our users again that we love them! And that we are very proud to be able to offer them all those great resources. PixEden exists because we feel passionate about what we do; and we want to offer the best in everything we make and that you ask us to create for you. So always expect from us dedication, love and openness to what we do and who we are, but also to any of your requests and other suggestions.